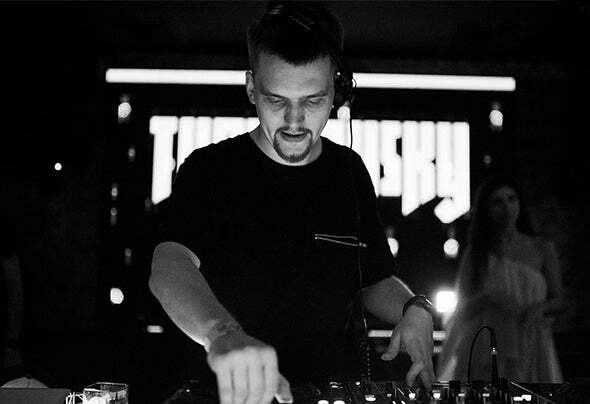 Since 2010, there are few artists that have risen to the upper echelons of the underground EDM community as rapidly as Sviatoslav Tvardovsky. Originating from the Eastern Europe hotbed of talent and a decade spent in classical music training, Tvardovsky has quickly established himself as a prolific and gifted music producer in a constantly evolving music industry.From his Kiev home studio, Tvardovsky has weaved aural tapestries of intricate patterns that have earned him the respect and support of the world's most important DJs, from Hernan Cattaneo and Barry Jamieson to Chris Lake and Ad Brown. Furthermore, an accomplished performer in front of the decks has seen Tvardovsky play alongside John Digweed Guy J, Henry Saiz and Luis Junior, as well as using a monthly show "Stereo Paradise" on FRISKY Radio to showcase his own production talents.In a production career that has earned him global recognition from the music- listening cognoscenti, a total of 200 Beatport production credits – including 100 in 2012 alone – grace the Tvardovsky name for labels such as Armada, Hed Kandi, Black Hole and Proton Music, illustrating a growing mastery of his craft that continues to develop at exponential rate.The continued success of his Stereo Paradise label and a new Dear Deer tech- infused imprint, Tvardovsky's future is set to shine in incandescent colour throughout 2013 and beyond.From a best-selling number one compilation album, support of the global DJ glitterati from John Digweed to Chris Lake and 200 tracks signed to the likes of Armada and Proton Music, Sviatoslav Tvardovsky's assault on the world of EDM since the turn of the decade has been nothing short of omnipresent. Running his own successful labels under the "Stereo Paradise" and "Dear Deer" names has further leant a growing air of expectation to the 25-year-old's work in both production and A&R as Tvardovsky's expertise in an ever-changing music industry continues at exponential pace. Natura Viva Presents "La Progressione"